Parents, you may have noticed the introduction of a new item targeted toward our children which is quickly becoming a serious danger. E-cigarettes are popular with adults and teens alike as a substitute for real cigarettes, even though they still contain nicotine with much of the same addiction and health consequences of regular cigarettes. The rise in use of e-cigarettes are creating a serious threat for our children when they come into contact with the liquid nicotine used to fill the electronic cigarette. The danger to small children has become even more evident over the last months with the first case in December of a child’s death due to ingestion of liquid nicotine. “Parents who “vape” should be aware that one swallow of the liquid nicotine used to refill their e-cigarettes can kill a child. The liquid also can be poisonous within a matter of minutes if spilled on the skin.” The APP also warns parents that e-cigarettes and liquid nicotine are largely unregulated and easy to buy by teens and can still get your children addicted to nicotine just like a cigarette. In December 2014 a 1-year old child died from liquid nicotine poisoning- the first such death in the United States. According to the American Association of Poison Control, “One teaspoon of liquid nicotine could be lethal to a child, and smaller amounts can cause severe illness, often requiring trips to the emergency department”. Despite the dangers of e-cigarette products, there are few standards set in place that require child-proof packaging, making them a serious danger to families with small children. The number of calls to poison control centers about liquid nicotine shot up significantly in 2014. There were 3,638 calls about exposures as of November 30, 2014, more than double the 1,543 calls in 2013. Children ages 1-2 years are at the greatest risk of getting into the product, but parents of children under age 5 should be especially cautions, Dr. Quinland added, “Only a handful of states require child proof packaging for liquid nicotine refills, so many bottles do not have childproof caps. The AAP urges parents who use e-cigarettes to purchase products that use child proof packaging. They also should store all liquid nicotine refills out of children’s reach and make sure to keep children away from discarded bottles”. 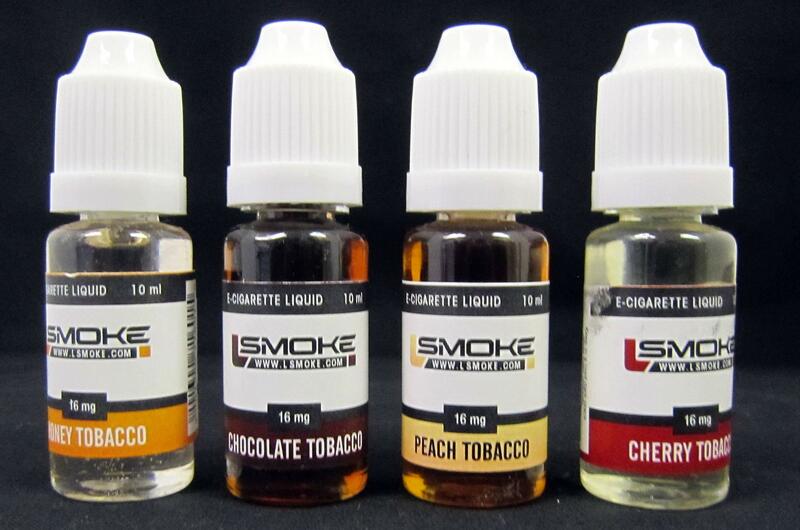 The bottles of liquid nicotine are sold in various sizes, from 10 milliliters (about two teaspoons) to more than 30 milliliters (about 6 teaspoons) and come in a variety of nicotine strengths. A teaspoon of concentrated liquid nicotine can be fatal for a 1-year-old child no matter how they make contact with the nicotine. MOUTH: If a child puts liquid nicotine in their mouth, even without swallowing, it will be absorbed into the mucous membranes, just like nicotine gum. SWALLOWING: If a child swallows liquid nicotine it will be absorbed into the intestinal tract. SKIN: If a child spills it on their skin, it will be absorbed through the skin just like a nicotine patch. Symptoms experienced by a child with liquid nicotine poisoning include vomiting, a fast heartbeat, jittery and unsteady appearance and difficulty breathing. If you suspect your child is exposed to liquid nicotine that was spilled on the skin or swallowed, call the Poison Center hotline: 800-222-1222 immediately. For more information about health concerns about older children and teens who use e-cigarettes, click here to read the full article from the American Academy of Pediatrics.